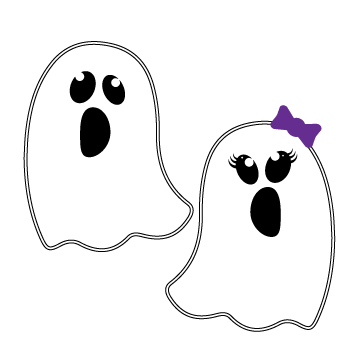 This super friendly ghost SVG file is perfect for your Halloween crafts! 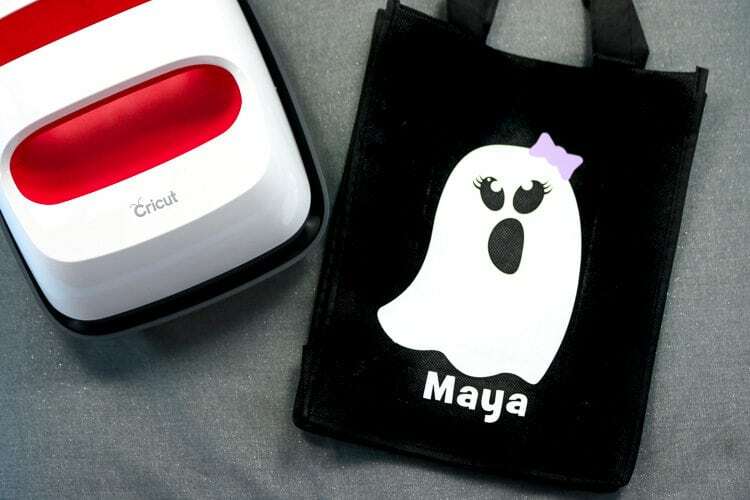 A girl and boy ghost SVG are included so you can craft specifically for that special small person in your life! 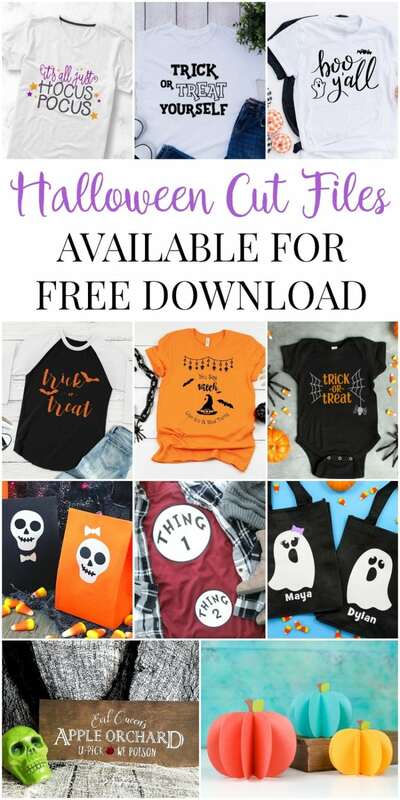 Be sure to read to the bottom and check out all the cute SVG files that my friends have for you in our Halloween SVG Blog Hop! I love crafting with ghosts. They are just so cute and these guys are a combination of my Ghost T-shirt and these Ghost Stamps. I also love Iron on! It is one of my favorite crafting mediums! 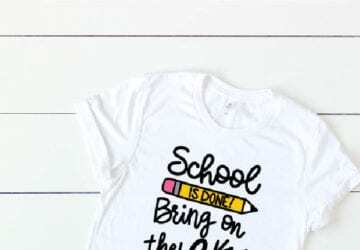 You can find out more about Iron-on with my Iron-on 101 post. 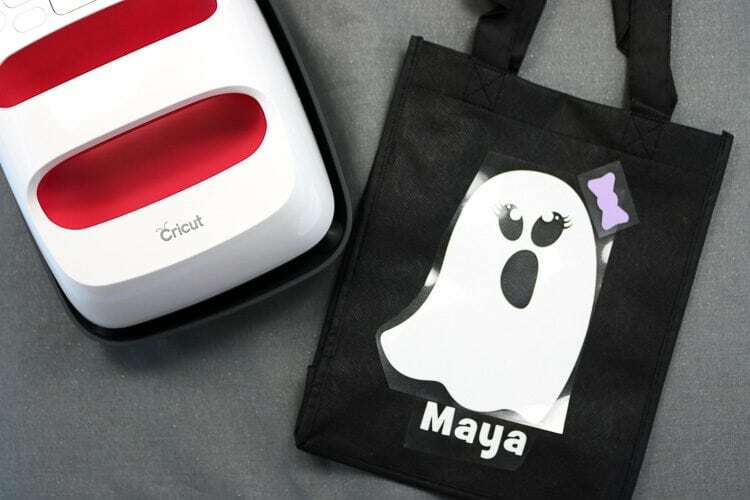 Here is how I used the boy and girl ghost SVG’s to make these treat tote bags. I started out by Uploading the SVG’s into Cricut Design Space. The file contains two body layers so that if you want to create an outline you can. We are not doing that for this project so I am going to hide those layers in the layer panel. 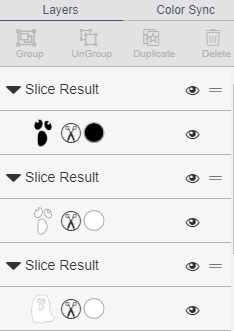 Do this by clicking on the eye icon next to the layer you want to hide. Since the bags are black, I am going to take advantage of that and use the slice tool to cut the black eye and mouth shape from the white ghost body shape. No sense in layering black vinyl on top of white. To do this we will select both the face and the body layers and then click SLICE in the bottom of the layers panel. You will then see this result. Here we can delete or hide both the face layers. Repeat for the other ghost. Now I want to add names to the bags. This is easy with the Text Tool. Type your name, choose your font and size appropriately. Now we will click the green Make It button. 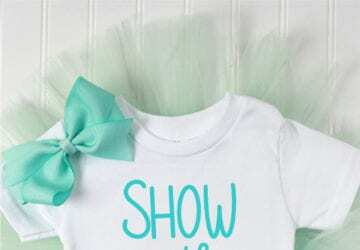 You can find detailed instructions on cutting iron on with a Cricut here. Remove the excess iron-on with a hook tool. Remember we are keeping the body and weeding the face and excess surrounding. I am going to use my EasyPress 2 to adhere the iron on to my bags. I want the purple bow to slightly overlap the top of my ghost so I will press these separately. These bags I used are PPNW, Polypropylene Non-Woven. It is a synthetic material and is not listed on the Recommended Easy Press Settings page. I pressed mine at 305 degrees F for 15 seconds and warm peeled them. If your designs are smaller than mine I also recommend using a liner or piece of parchment paper so you don’t melt the bag. You can find more detailed information on how to correctly apply iron on here. Now we have some really cute friendly ghost treat bags! I am excited to share with you all these amazing Halloween SVG Files from my very talented friends! Hop over to their sites to download these and give them a hello! 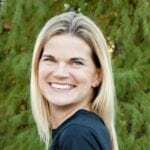 You may find 11 more awesome blogs to follow! 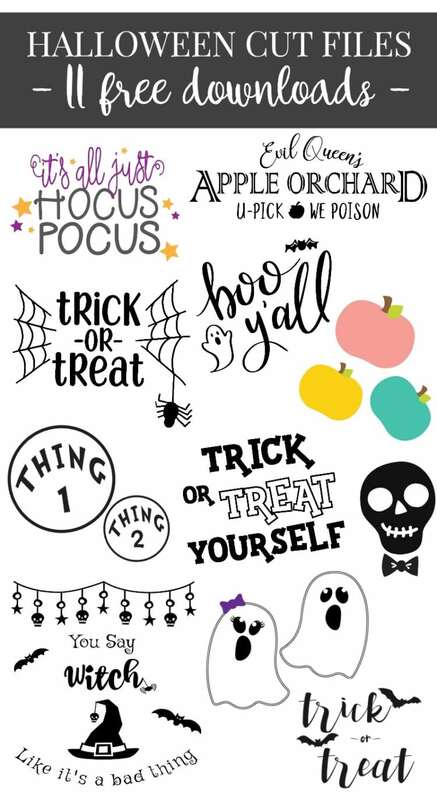 Boo Y’all – Pineapple Paper Co.